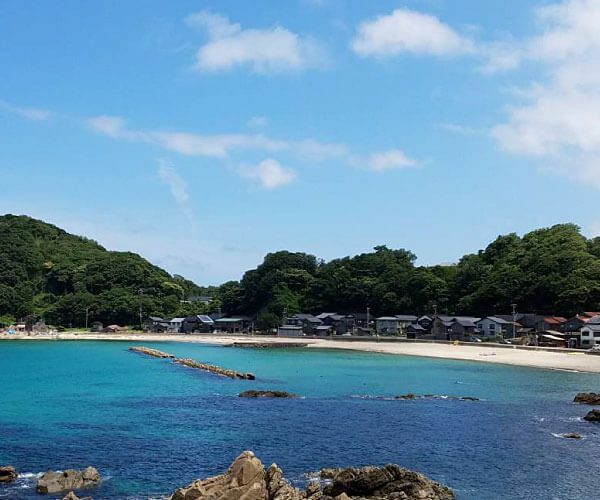 Beach House MERI with the company Mother Earth will take you on tours of Takeno coast, a designated part of the San’in Kaigan UNESCO Geopark and ranked in the top 100 of beautiful beaches in Japan. Here you can explore caves and see the chronology of how the island of Japan developed over 10,000 years ago in the landforms and rocks that are visible only from the sea. Take off from the white sandy beaches and coast out into the Sea of Japan over waters that are crystal clear when conditions are good. Find your way to Beach House MERI (part of the Mother Earth company) at Kirihama in Takeno, and you will be met by a stretch of sandy beach that stretches along teal blue waters. Before and after your adventures on the waters, take time to enjoy the calm waters and fresh air. The best times to visit are just before and after the major summer vacation and beach season when the beach is least crowded but the waters still warm. There are a couple of courses that you can choose from. Each one is of a varying distance and offers different views, but are both guided by experienced and well-trained staff. 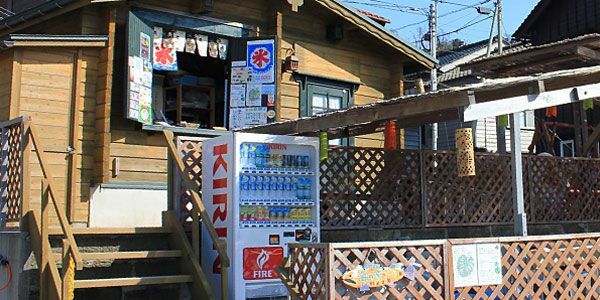 Course A will take you around the east side of the beach and out around the tip into the Sea of Japan passing Yodo-no-Doumon (Yodo Sea Cave) and the deeply indented coastline area (rias coastline) Manjyu. 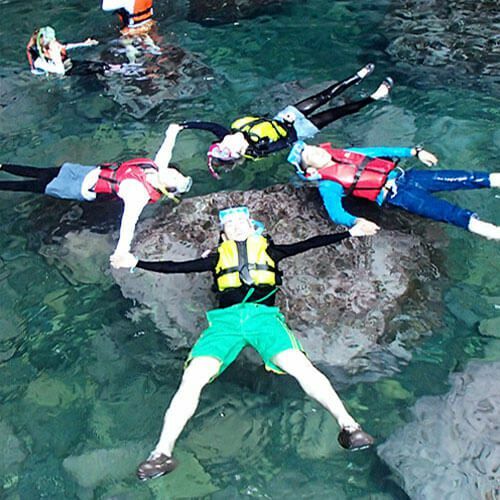 This course takes about 2 hours to go out and back, plus time to do some snorkeling if you request to do so ahead of time, and costs about 7,000 yen per person. Although snorkeling is an option, it is only available from July to August and only on weekdays. Course A departs at 9:00/11:30/14:30/16:30. For fun you can also upgrade your canoe to a clear bottom canoe so that you can enjoy a better view of the ocean floor as you glide across the waters. The family tour course is easier and shorter because it is more geared towards families with children, so is less physically demanding. Unlike the previous course mentioned that requires all participants to be about 9 years of age or older, the family tour allows children from about 6 years as long as they ride with an adult. This course is about 1 hour long and will take you out to either the Yodo Sea Cave or Hasakari Rock, a rock that appears to be wedged between two others and was formed when the upper part of the cave collapsed. The family course departs at 14:30 or 16:30. 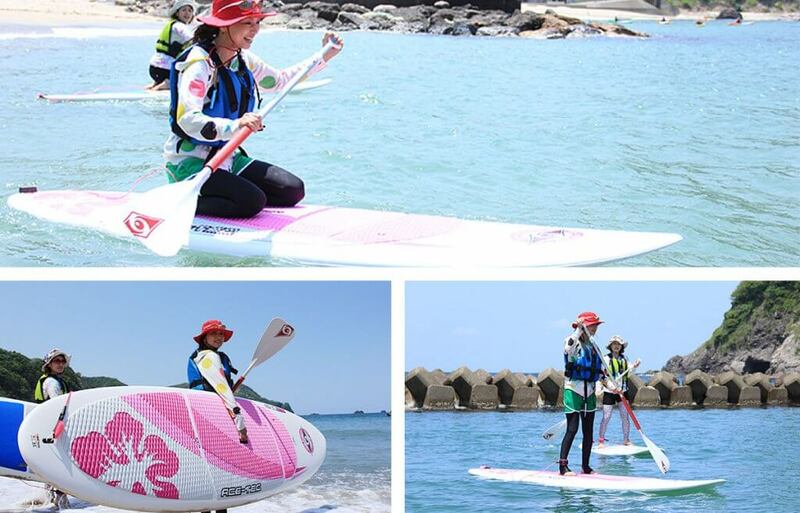 The Hawaiian born activity of SUP (Stand-Up Paddle Surfing) has also made its ways to the shores of Takeno. 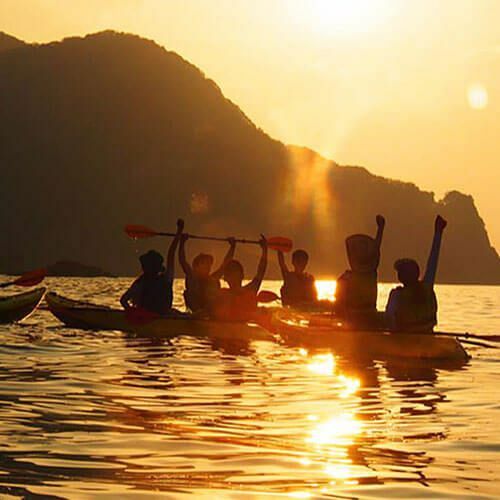 Although it requires a little more balance and concentration than sitting in a canoe, it is still a fairly easygoing activity that is suitable for first-timers and beginners as well. On SUP tours you will be given basic instructions on land and then take some time practicing in the shallows off shore. Once you get the feel of the board and feel confident enough to head out, your tour guide will accompany you out further. The good thing about these boards is that they are surprisingly stable and wide so getting the hang of balancing on them isn’t too bad and they offer a great place to just sit and relax when you need a break out on the waters. The G-SUP tour lasts about 2 hours and includes practice time. The participation fee 7,000 yen per person. While kids from about 6 years old are welcome to participate, it might be a good idea that they feel comfortable in the water and have some swimming experience. SUP tours are only available from June to September. The staff is super friendly and while they are there to make sure you have a great time and get all you can out of your experience, their top priority is your safety. All of the guides that accompany you on your adventure are highly qualified and equipped for emergencies. The instructors are required to take a high-level lifesaving course and go through special training every season with the fire station to become certified. While the staff is trained to handle emergencies we like to avoid any reason to call upon these skills, we ask that you take precautions as well. Know your physical limits, listen to your instructor at all times and be aware of your surroundings to help ensure your safety. -Shoes that you don’t mind losing to the sea (water shoes, old sneakers, river sandals, suit booties, crocs, etc. Please do not wear socks or flip-flops. -Gloves are optional; using the paddles sometimes people develop blisters. Beach House MERI is not only the registration office but it is also a delicious little beach side cafe that offers premium Tajima beef stripe curry, a hamburger plate, and cold & refreshing drinks. You can also call ahead and make reservations for a BBQ dinner. They will light the fire, prepare the food and handle all the cleanup and prep. You just cook the meat how you like, enjoy the food and have a friendly chat with friends. The BBQ runs from about 5,400 yen per person, which includes vegetables, beef or pork spare ribs, seasonal seafood (crab, turban shell, the daily fish catch, etc. ), rice balls, & dessert. 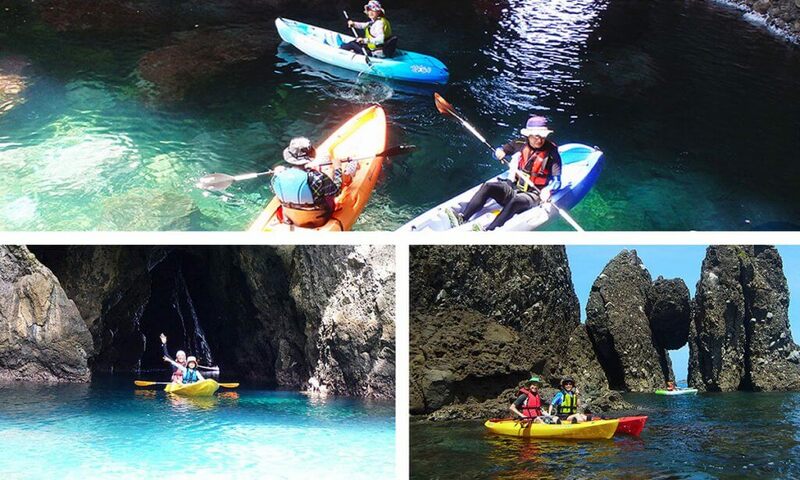 Canoe tours start from about 4,500 yen/person but average about 7,000 yen/person. There may be a parking charge during the peak beach/swim/summer seasons.